Sea Dog Brewing has had a long standing presence in Florida. Their line-up of beers was for many of us some of the first craft beers we ever tried. Well, this month marks a big milestone for Sea Dog in the sunshine state. Next week on April 10th, Sea Dog Brewing Company will be cutting the ribbon as they debut their new 20bbl brewhouse. Not only will this new brewery provide beer for their brew pub but it will also serve as big source for much of their draft beer in Florida. Currently brewing their second batch on this system, Sea Dog Brewing Company will be celebrating their new brewery on Thursday. Doors open at 3pm. 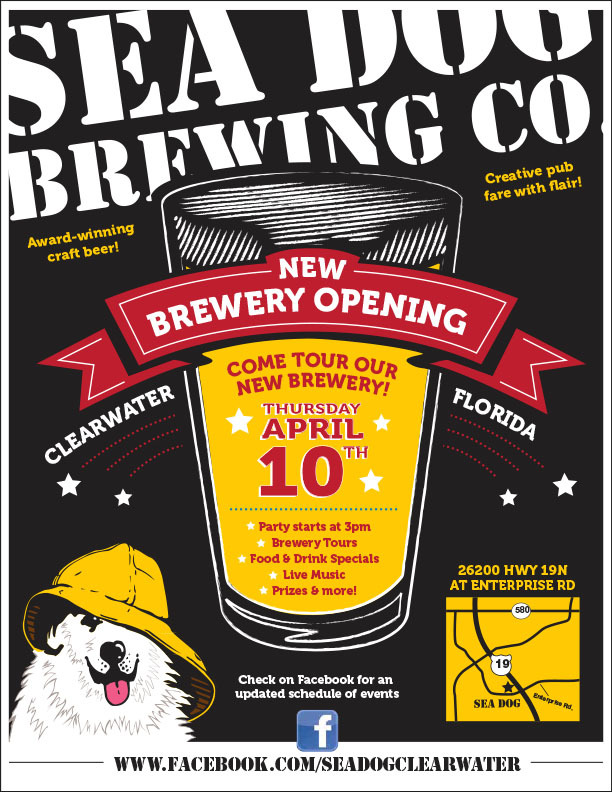 The Mayor of Clearwater will be cutting the ribbon on the City’s first Brewery at 5 pm.